The advent of technology has finally caught up with the construction industry and has set the tone for the industrial-wide implementation of digital technology within the construction process. The Building Information Modelling (BIM) system has revolutionized the industry. The system, which incorporates the integration of information systems and computational models, is used to coordinate and manage efforts between architects, engineers, specialists and clients throughout a structure’s lifecycle. This innovative information system, through its significance in expediting construction efforts, has prompted an industry-wide implementation in the EU and has even extended its influence to the Malaysian construction industry. 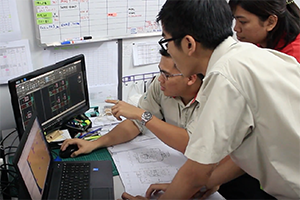 A technology enthusiast at heart, I was delighted to be offered an internship last summer implementing this system by Sunway Constructions, a major player in the Malaysian construction industry. 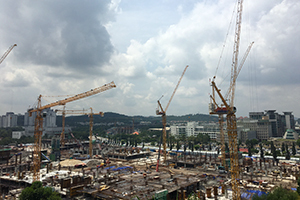 Operating within Virtual Design and Construction department, I was based in the administrative capital of Malaysia, working on a government megaproject, handling the simultaneous construction of a 10-block government complex. 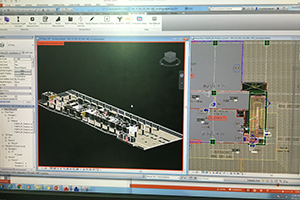 Due to the complexity of this multi-billion Ringgit project, this BIM system was key to the successful implementation and coordination efforts on site. At the start, I was assigned, not unlike other interns who came into the department, to undertake structural modelling tasks based on technical drawings provided by consultants. Undertaking the role required analytical and time management, and without my experience with BIM, I would not have had a smooth transition into undertaking these tasks. Over time, I was happy to be was entrusted by the department to undertake more complex aspects to the project from steel structure coordination and also involve myself in model quality assurance prior to submission to the clients. Being part of the Civil & Structural trade of the Virtual Design Department, the elements of time and accuracy of the models were vital in measuring our performance as an organisation. I saw this as an opportunity to exercise my enterprising attitude nurtured from SELA. In addition to receiving orders to execute tasks, I sought to work towards a vision of improved client satisfaction through my involvement in Quality Assurance. Hence, building upon the resources and best practice gained from my involvement with the department, I sought to improve the operating procedures. I was able to propose and initiate the consolidation of a sequential standard operating procedure for model quality checking and delivered sequentially a structured checklist. Another opportunity to practice this enterprise capability came when the department manager proposed the integration of automation into the quality assurance process. Finding automation to be the key to expediting checking procedures and eliminating human errors, I took on the task of developing a program configuration for the Autodesk Revit Automated Checker plugin for the use of structural quality checks and delivered the program to the manager. At the end of the summer, to say that I’ve gained valuable insight was an understatement to the enriching experience that I’ve enjoyed at Sunway Constructions, coupled with the character foundation provided by SELA. With this experience at hand, I look forward to my 3rd year at the University where I will continually be nurtured within the competent visionaries that run this inspiring programme. The learning opportunities were boundless, especially with the foundational attributes emphasized by SELA prior to the summer. With the potential to be exposed to valuable industrial knowledge and the working environment, this was a golden opportunity for me to sharpen my character in preparation for a life in industry. This began with the exercise of proactivity in taking on multiple roles that allowed for me to obtain a well-rounded experience in the work process.